Every month on the second Sunday. Hosted by the South Miami Mopar Connection Car Cruise. Cruise starts a Tropical Park and ends at Buffalo Wild Wings. Custom menu for all SMMC members and guest. $12 buckets (5) beer of domestics, $4 22oz Bud Light. 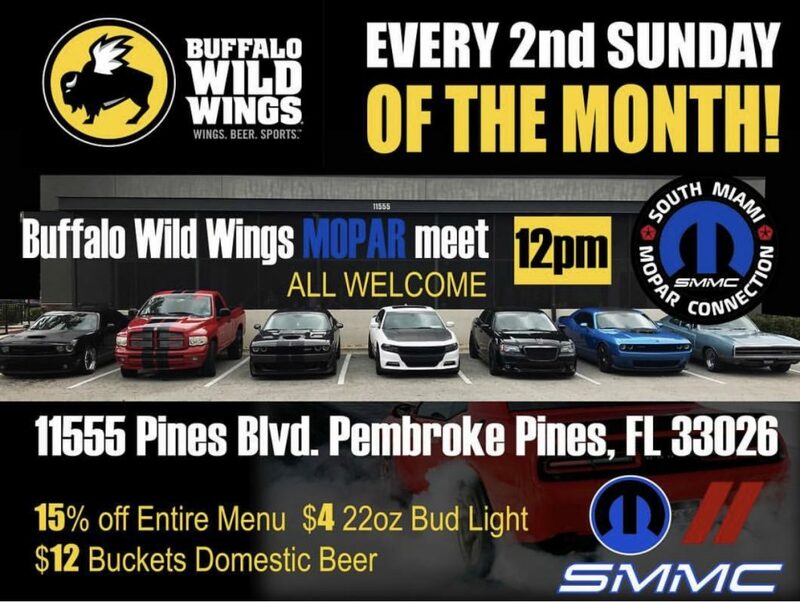 Come join the fun, great food, great Mopars, and great friends. Guaranteed parking for all Mopars. All Mopar enthusiast are welcomed. Always accepting new applicants to join the club.